The choice of brochure is yours. Please select as many brochures as you’d like, then fill out the form below. Still not sure what’s best for you? Whether it is a look you want to achieve, the best possible material, or building within a budget, we have put together a simple guide to help pick the right roof for you. Concrete tiles are the most economical and durable roofing material on the market. 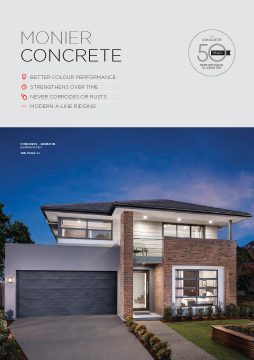 Concrete tiles get stronger with age and are backed by a 50 year performance guarantee. Monier Terracotta roof tiles are made from natural Australian clay and are fired to lock the colour into the tile for life. 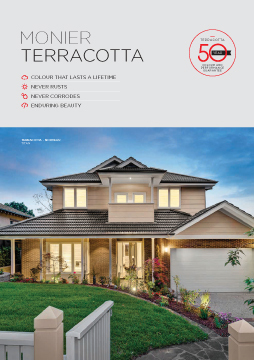 Monier Terracotta tiles offer unmatched durability, which is why they are backed by a 50 year performance and colour guarantee. 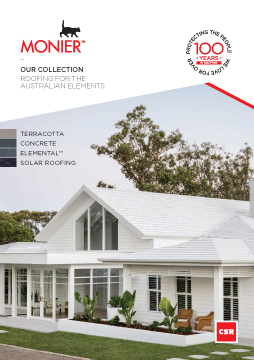 The Monier Elemental™ series is a contemporary, innovative and distinctive range of lightweight roofing products designed to withstand all the elements. 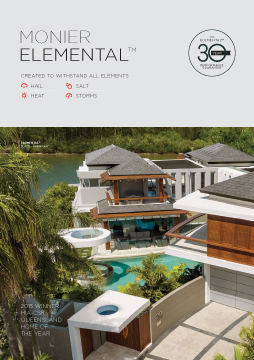 The Elemental™ series offers the best in performance, strength and distinction and is backed by a 30 year performance guarantee. 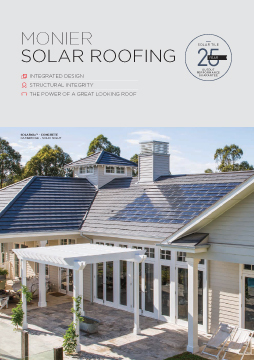 Learn about how Solar Roofing works, the incredible benefits it can bring to your lifestyle, and the packages on offer through Monier. Discover the benefits of Solar with Monier Roofing. In this collection of Monier case studies, you will find 8 stunning Hamptons homes to inspire your next project. 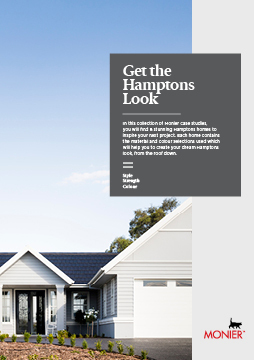 Each home contains the material and colour selections used which will help you to create your dream Hamptons look, from the roof down. 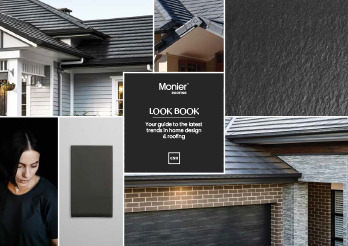 Monier’s Roof Restoration and Maintenance range has been specifically developed to help you rejuvenate the roof on your home, ensuring it continues to protect your family whilst adding value by improving your homes’ street appeal. 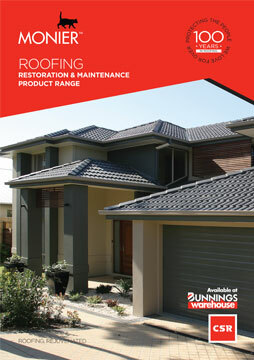 The range is designed for use on all types of concrete and terracotta roofs*. Would you also like our Look Book? trends in home designs and roofing. Become one step closer to creating your dream roof. Order your Look Book now to discover Monier’s wide range of products and styles from eight inspirational homes. How would you like us to get this to you?